L-tryptophan, one of nine essential amino acids, helps your body produce serotonin, a chemical responsible for maintaining a proper sleep cycle. While L-tryptophan plays an important role in both healthy sleep and mood, as well as in the production of vitamin B3, or niacin, in the liver, your body cannot produce the amino acid. 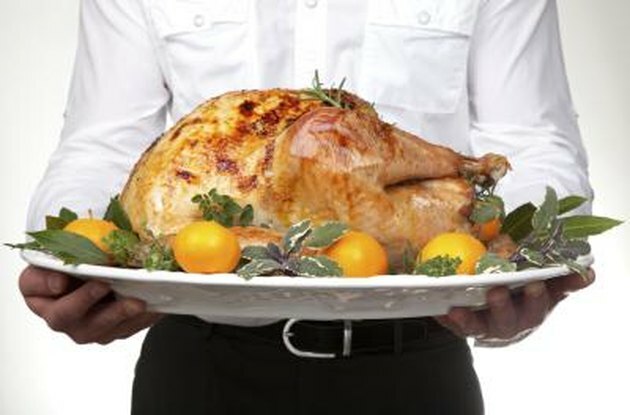 Turkey may well be the most well known dietary source of L-tryptophan, but all animal proteins contain some of the amino acid. 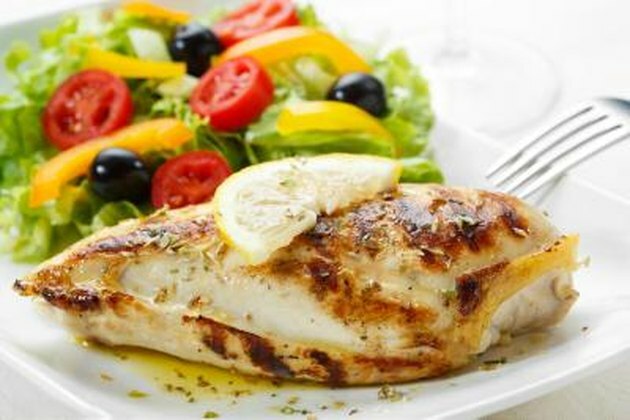 A 4-ounce portion of either chicken or turkey breast provides 350 to 390 milligrams of L-triptophan, as well as a dose of the other eight essential amino acids. While red meats contain the amino acid as well, they tend to have a higher saturated fat content than can lead to high cholesterol. 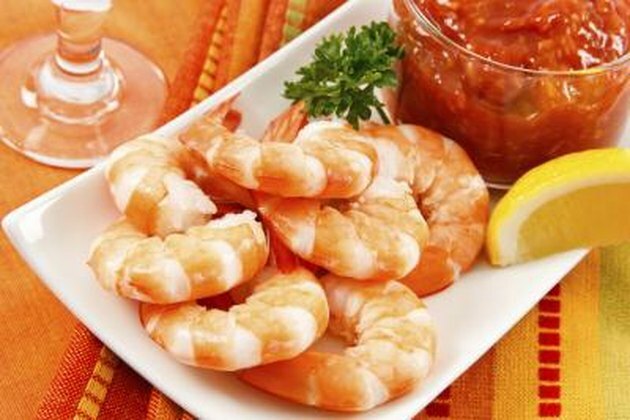 According to the George Mateljan Foundation for The World's Healthiest Foods, a not-for-profit organization focused on sharing information on the benefits of healthy eating, shrimp is the most nutrient-dense source of L-tryptophan with 330 milligrams per 4-ounce serving. Fish, such as tuna, halibut, salmon, sardines and cod, and scallops also contain between 250 and 400 milligrams of L-tryptophan per serving. 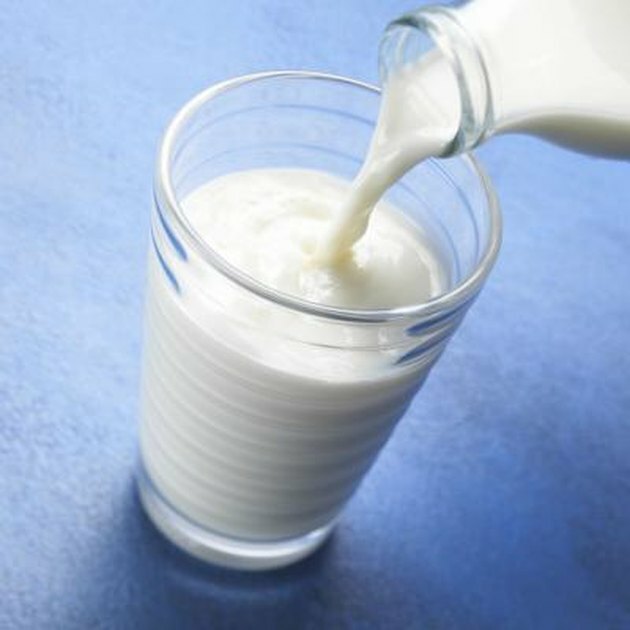 While dairy contains significantly less L-tryptophan per serving than meats and fish, cheese, milk and yogurt still provide you with a full essential amino acid set along with bone-healthy calcium. A 1-cup serving of reduced fat cow's milk provides 100 milligrams of the amino acid, while 1 cup of low-fat yogurt gives you 60 milligrams. Nuts and seeds are a convenient way to supplement your L-tryptophan intake when you're short on time. 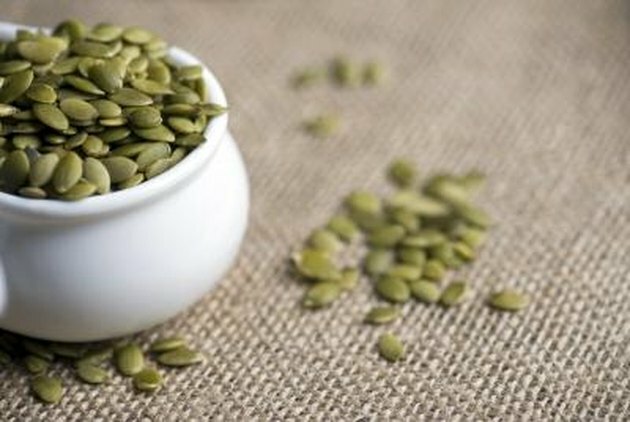 With the highest dose of the amino acid per serving, pumpkin seeds provide 110 milligrams per one-fourth cup. Sunflower seeds, cashews, almonds and walnuts all contain over 50 milligrams of L-tryptophan per one-fourth cup. 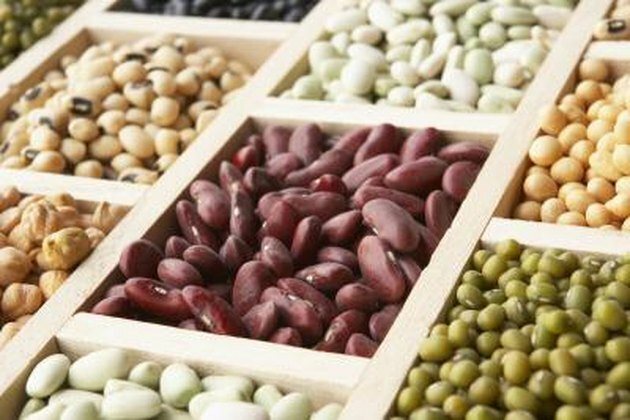 Legumes, such as beans, split peas, peanuts and lentils, offer a fiber- and protein-rich source of L-tryptophan. Kidney beans, black beans and split peas each contain 180 milligrams per cup, while one-fourth cup of peanuts contains 90 milligrams. In addition to the actual L-tryptophan content, legumes also contain B vitamins and iron, both necessary for the body to transform the amino acid into niacin.